Our lawyers are experienced navigators, guiding our health care clients through the maze of regulations involving fraud and abuse, provider reimbursement issues, licensing, certification, and health information privacy and security. 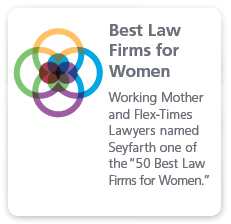 Several of our attorneys are board certified in those states that have such certification available. We help virtually every sector of the health care industry to develop, evaluate and update compliance programs and policies, and perform compliance program reviews to identify gaps with compliance. 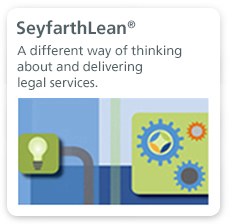 Our clients also work closely with our subsidiary, Seyfarth Shaw at Work, to develop customized training to address their specific compliance needs. Our Health Law attorneys have a deep understanding of the federal fraud and abuse laws, including the federal Anti-Kickback Statute, Stark Law, and False Claims Act. That knowledge extends to state fraud and abuse laws, including fee splitting and the corporate practice of medicine. We utilize that knowledge to counsel providers, and companies that do business with providers, on how to structure their transactions and physician relationships, hospital-physician joint ventures, physician ancillary services, and physician compensation arrangements to comport with regulatory parameters. Our attorneys proactively analyze the regulatory implications of proposed transactions in order to minimize risk and ensure that the transaction can be successfully executed, and are adept at identifying compliance and risk issues during the due diligence process of the transaction. We regularly counsel our health care clients on the complex reimbursement issues arising under Medicare, Medicaid, and other governmental health programs. Our attorneys work closely with clients to address Medicare participation rules, change of control issues, reimbursement standards, overpayment liabilities, and compliance efforts with respect to reimbursement. When necessary, we represent health care providers in connection with inquiries and investigations by the Centers for Medicare and Medicaid Services (CMS), Medicare intermediaries and carriers. 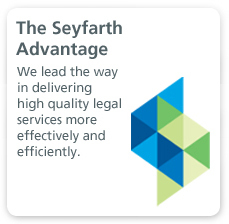 Seyfarth attorneys have experience in defending RAC audits, ZPIC audits, and Medicare, OIG and other governmental agency investigations. We also advise on cost-reporting issues and provider-based status, graduate medical education rules, and other coverage issues. Furthermore, we counsel hospitals on compliance with the conditions of participation and assist with responding to investigations, including those related to the Emergency Medical Treatment and Active Labor Act. Our attorneys work closely with physicians, clinics, and independent diagnostic testing facilities on billing and reimbursement matters. We address issues related to coverage of diagnostic services, supplier enrollment, physician reassignment and required documentation for coverage and billing. We also advise on the billing and reimbursement rules related to non-physician practitioners and supervision requirements for diagnostic and therapeutic services. We assist providers with structuring delivery systems and the creation of new ventures under applicable regulations. We counsel various health care providers, including medical schools, academic medical centers, laboratories, clinical research organizations, life sciences and device manufacturers in the development and implementation of compliance plans. We counsel clients on IRB issues and provide compliance assessments for their clinical research programs. We also guide clients through myriad intellectual property and governmental funding issues that often arise in the context of clinical research. of the health care organization and work with Compliance Officers or comparable personnel within an organization to assure timely review and response to identified billing errors or information breaches. We also perform regulatory due diligence to health care transactions to assure state licensing, certificate of need, and Medicare provider status issues are addressed. With medical privacy subject to increased enforcement and high penalties, we advise clients on the issues arising under HIPAA, HITECH, and state laws governing privacy of personal medical information. We have developed a Privacy and Security Checkup product that allows us to better price the gap assessment, and plan development, training and implementation for HIPAA and HITECH compliance. Our attorneys are experienced in the development of managed care organizations such as PHOs, PPOs, IPAs and, more recently, ACOs. We have reviewed and negotiated health plan PPO and shared risk contracts on behalf of our provider clients, evaluated blended rate and incentive arrangements under Medicare Advantage plans, and guided our clients in developing direct contracts with employers. One of our attorneys authored “The Managed Care Answer Book” for Aspen Law and Business for over 6 years.